Getting quality sleep is one of the most important things you can do for yourself. This is something every single person needs, regardless of your age, lifestyle, weight, or health status. When you don’t get enough sleep, it can affect you in many ways. Sleep deprivation causes both physical and mental issues, from stress, anxiety and depression, to muscle pain, headaches, digestive issues, high blood pressure, and a higher risk of stroke and heart attack. Unfortunately, even if you do everything right, you might still have trouble falling asleep or staying asleep, which often means you are suffering from insomnia. If you find it difficult to fall asleep or remain asleep, you are certainly not alone. These are the symptoms of insomnia, a disorder that affects more than 60 million Americans, predominantly women and those over the age of 65. Unfortunately, scientists know very little about the etiology of the disorder, but they have reached a general consensus with regards to which treatment options are most effective. In this report, you will learn more about what insomnia is, what can cause it, the symptoms, and what can be done about it. You are going to get a lot of treatment option ideas, and understand more about where it comes from and when you need to talk to a doctor. Many people are confused about what insomnia actually is, assuming it means never getting sleep or not being able to fall asleep for hours at a time. This is actually a misconception, as insomnia can be any pattern of restless or low quality of sleep. The definition of insomnia is having trouble falling asleep or staying asleep. With insomnia, it might take a long time to fall asleep, or you may fall asleep very easily, but wake up multiple times a night. If you are someone who wakes up a lot in the middle of the night, you may discover it difficult to fall back asleep each time, which is another common sign of insomnia. What you will find out later is that many people experience symptoms all day long of insomnia, like headaches, fatigue, lack of energy, mood swings, and issues with their focus and concentration. It is a very common condition. Insomnia is very common, and you might have it come and go based on your health and lifestyle factors. Luckily, the fact that it is common, means there is a lot of advice out there when it comes to treating it. You might not suffer from it every night. It is also likely that you won’t have insomnia every single night, in the same way. You might notice it only comes back on nights when you have a lot of stress, you go through phases of severe insomnia followed by phases of sleeping just fine, and some weeks where you just have it once or twice. Many times, lifestyle factors are the cause. While not always, it is extremely common to have your insomnia triggered or worsened by lifestyle factors. This can be what you choose to eat, drink, stimulants, exercise, medications, and many other things. It is completely treatable. 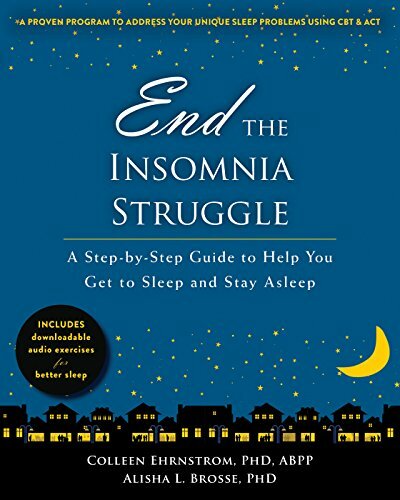 In the next few sections, you are going to learn more about treating insomnia, so don’t worry – just because you have it now, doesn’t mean you will be forced to live with it forever. Another factor of insomnia is related to how long you have it. Some people have acute insomnia, where it is only for a short period of time. However, others have chronic insomnia, which you can expect to keep returning, even if you have brief periods where you don’t suffer from it. If you have ever had an acute medical condition, you are probably familiar with what it is. Acute is when you have something for a short period of time. It may return occasionally, but not consistently. With acute insomnia, you have it a few times, but not daily, weekly, or even monthly in most cases. This is when insomnia is usually caused by lifestyle factors, like stress, poor diet, or mental health issues. Chronic insomnia, on the other hand, is the complete opposite. Similar to chronic medical conditions, chronic insomnia is something that keeps returning. Some people will have insomnia almost every night, while others have it several nights a week, or it just keeps returning, even if you have brief pauses in the sleeping issues. Do you have insomnia at least once a week? Have you had insomnia for a long period of time? Are all your treatments for sleeping issues short-lived? If any of these are true, you probably have chronic insomnia. Now for what you are probably curious about – why did you get insomnia? While it is extremely common with millions of people suffering from it, some people do get lucky and don’t experience it much in their life. There is no single cause of insomnia, but instead a combination of medical conditions, mental health causes, and sleep disorders that might lead to a lack of good sleep. This also includes lifestyle factors that can make a big difference in whether or not you ever get insomnia. The first area of causes for your insomnia might be related to your general health and medical conditions. Keep in mind you might have trouble sleeping from a combination of medical and mental health problems, or with more than one health condition. Physical pain – If you have any source of chronic pain, then this can cause insomnia as well. It is very hard to rest and get good sleep when you have physical pain. This chronic pain might be from a condition like fibromyalgia, medical conditions like arthritis or inflammatory diseases, or back and neck pain. Digestive issues – You might also have insomnia from digestive problems, like nausea, vomiting, acid reflux, gastritis, or other sources of stomach discomfort. Endocrine issues – It is not uncommon to have trouble sleeping when you have endocrine issues like hyperthyroidism or hypothyroidism. Allergies – Conditions that keep you up at night should also be considered causes of insomnia, like having seasonal allergies. Other medical conditions – You may also have insomnia from medical conditions like asthma, neurological conditions, other thyroid problems, or heart disease. Medications – Similarly, medications taken for heart disease, thyroid conditions, indigestion, allergies, depression, and high blood pressure can negatively affect your sleep. It is also possible that your insomnia is from mental health causes, like stress, anxiety, or depression. These conditions may be experienced alone or in combination with medical conditions that are leading to lower quality sleep. Stress – This is probably one of the most common causes of insomnia. The problem with stress and insomnia, is that you are often so tired, that your stress intensifies, which can then lead to more sleeping problems. It is a very vicious cycle. The best thing you can do is try to find ways to reduce your stress levels, whether that means more self-care, changing your lifestyle habits, avoiding negativity in your life, or adjusting your schedule so you aren’t overworked. Depression – Another bad cycle to get caught up in is with insomnia and depression. Like stress, depression can be worsened when you aren’t sleeping well, and depressive episodes can cause lack of sleep. People with depression tend to have 2 main sleeping patterns – sleeping too much, or too little. You might also go through phases where you sleep a lot for a while, then barely at all. Neither of these are healthy for you. You really should seek help from a mental health professional to get your depression treated, which should in turn help with your sleeping problems. Anxiety – Anxiety can also cause a lot of sleeping disturbances. There are different types of anxiety, from PTSD and generalized anxiety disorder, to panic disorder. It is possible that you feel fine during the day, but then once you lay down to sleep at night, suddenly you feel very anxious, which interrupts your sleep. Others have anxiety pretty much all day long, but it is worsened at night, which is also going to cause insomnia from the added worry, anxiousness, and stress. The way you live your life each day can have a much larger impact on your quality of sleep than you might think. Every decision you make, from what you eat during the day, to your habits before bedtime, are affecting your sleep either in a positive or negative way. Your Sleep Habits – Sleep habits, also called sleep hygiene, are all about what you choose to do each day when getting ready for bed. This includes your sleeping environment, using devices or watching TV before bed, having caffeine before bed, and even things like working up until bedtime. If you want to improve your sleep, you can start by improving your sleep hygiene. Diet – What you eat or don’t eat can also make a large impact on your sleep and lead to insomnia. If you eat and drink a lot of foods that stimulate your brain and cause more energy, like caffeine and alcohol, it can lead to problems sleeping. Some foods will give you digestive issues and stomach pain, such as a lot of acid, refined carbohydrates, and fatty foods, so those should also be minimized in order to get better sleep. Exercise – You want to have a good amount of exercise during the day in order to be tired enough in the evening for sleep. Exercise is great for more energy during the day, but it also prepares your mind and body for rest when bedtime comes around. Try to get regular physical activity each day. Work on improving your daily habits, reduce unhealthy habits, and change your bedroom and sleeping environment, and you will be on the right track of getting the best sleep possible. Not sure if what you are experiencing is insomnia? In most cases, having trouble falling asleep or staying asleep over an extended period of time is classified as insomnia. But perhaps you have some other symptoms that point to this particular issue with your sleep. Some people have more issues with staying asleep, and end up waking up every couple hours throughout the night. Being Tired All Day – Even if it feels like you are getting enough sleep, you might be suffering from insomnia. Disturbances in your sleep can be subtle, so you don’t notice it in the morning, but find that you have a lot of fatigue throughout the day. If you seem to be constantly tired, no matter how many hours you are in bed, your sleep itself is probably not the best. Issues with Focus or Concentration – Are you having trouble focusing on your work? Is your productivity decreasing because of lack of concentration? This is another big sign of suffering from insomnia. Mood and Behavioral Changes – Lastly, look at how your mood is changing throughout the day. This could mean a lot of mood swings, where you go back and forth between being happy and sad, being overly angry and irritable, or just not being able to control your mood. One of the best things that you can do to conquer insomnia is to create a sleep regimen that you can adhere to; so what does this mean, exactly? Well, in layman’s terms, it means resigning yourself to a specific bedtime. As an adult, this probably sounds ludicrous, but it has been shown to be highly effective. In fact, maintaining a consistent sleep schedule can have a positive effect on the body’s internal clock, commonly referred to as your circadian rhythm. To further contextualize this statement, the circadian rhythm is responsible for determining the body’s sleep patterns; it works by processing information relative to incoming light from your optic nerves to your brain, which explains why some people naturally become tired once it becomes dark outside. Now that we have established the natural process for falling asleep, let’s turn our attention to what can be done to help those with insomnia enjoy the same deep, restful sleep that many of us take for granted. If you’re not familiar with bright-light therapy, it is a process whereby those who are struggling with insomnia will sit in front of a bright light box for a period of 20 to 60 minutes. The light ostensibly resets the body’s circadian rhythm, which, in turn, also resets brain wave activity and hormone production. It should be noted, however, that in order to achieve optimal results the lightbox being used should be capable of outputting the full-spectrum of fluorescent light, an intensity of 10,000 lux. Although cognitive behavioral therapy is often discussed in the context of mental health, it is also an effective treatment option for insomnia. How does CBT help you fall asleep, you ask? Well, according to a 2015 study published in Sleep Medicine Research, CBT is a viable treatment for those with primary insomnia as well as those with comorbid symptoms of insomnia derived from anxiety. With so many people leading busy and stressful lives, it’s not too surprising that the frenetic pace of day to day living keeps them up at night. 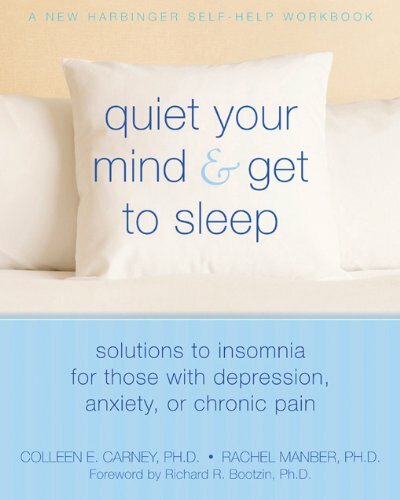 This leads us to another proven insomnia treatment, relaxation training. Unlike the previously mentioned treatments, relaxation training covers an array of treatments, ranging from mindful meditation to hypnosis and everything in-between. Although this treatment approach sounds very much New Age, there is something to be said for quieting the mind and entering a Zen-like state of consciousness. Since we were children, the importance of getting 8 hours of sleep has been ingrained in our heads, but is eight hours really necessary, would fewer hours suffice? 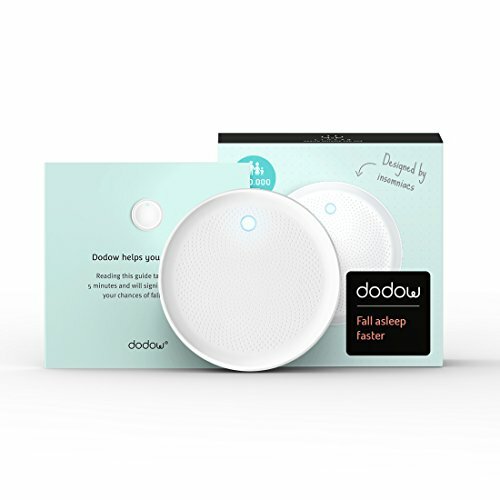 Several studies have shown that these sleep myths, which have been extolled as the key to getting a good night’s sleep, can become the very things that contribute to our insomnia. Good sleep equals feeling refreshed– It’s actually natural to feel groggy when you first wake up, at least for the first 30 minutes that you’re awake. Repeatedly waking up is bad– It is quite normal to have a brief awakening when you sleep; in fact, the average person wakes up briefly 12 times per night. Spending more time in bed means you’ll be refreshed the next day– When it comes to getting quality, restorative sleep, your goal should be quality over quantity. 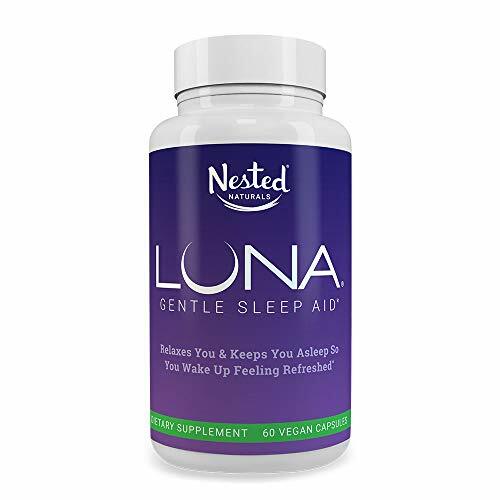 Although the majority of this article has focused on insomnia from a scientific standpoint, there are a number of lifestyle changes, as well as over-the-counter sleep aids that can help you get the sleep you need. For example, you can make it a point to exercise a few hours before bed. This will allow your body time to wind down as opposed to contributing to your restlessness. Also, you may want to consider drinking herbal teas like chamomile, for example. This particular tea has been a go-to tea for many people seeking relief from inflammation, anxiety and, above all else, insomnia. Lastly, if you are taking prescription medications that are encroaching on your ability to sleep, consider speaking with your doctor; after all, they may be able to change the dosage of your medication or prescribe an alternative that doesn’t contribute to your insomnia.